Legs are 1-5/8" O.D. tubular S.S. Braces are 1-1/4” O.D. tubular S.S.
John Boos & Company, a leading manufacturer of commercial foodservice products, offers a wide range of compartment sinks that are ideal for any busy kitchen or general work area. 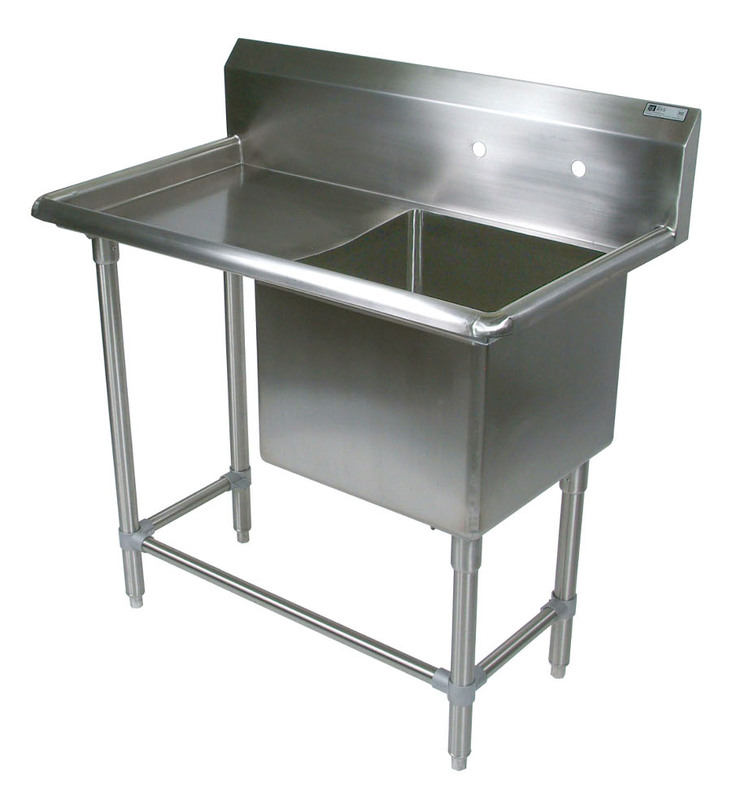 These commercial-grade stainless steel sinks are built to withstand heavy-duty, daily use in large facilities as well as small. 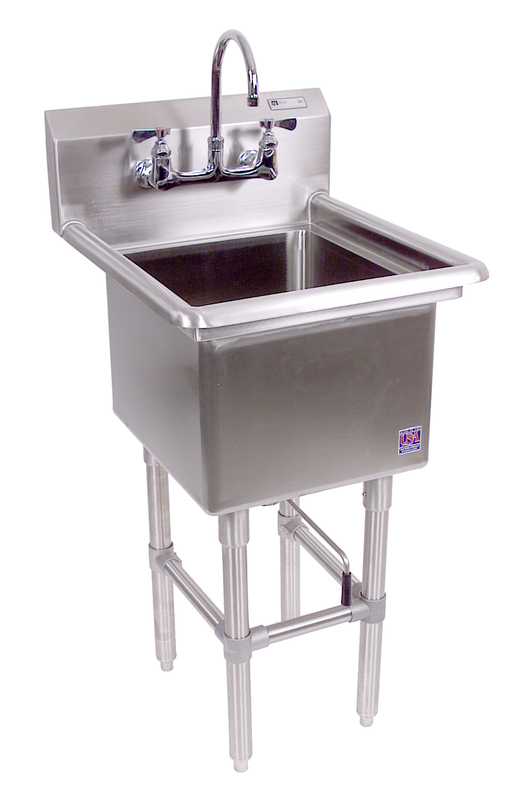 Boos utility sinks are made of 16-gauge, type 300 stainless steel (heavier-duty, 14-gauge stainless steel is optional). Plus, to further ensure they won’t leak or rust, all welds on these sinks are ground and polished, leaving a one-piece sanitary bowl. Legs and braces are tubular stainless steel. 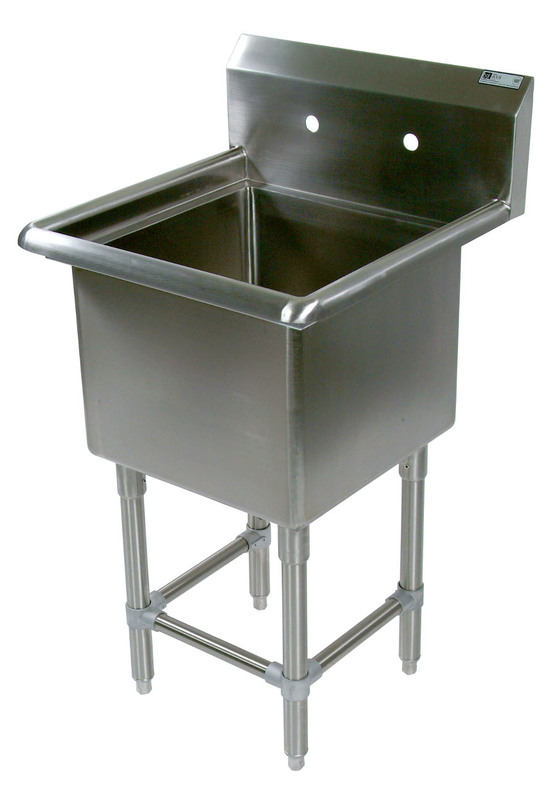 All Boos compartment sinks meet NSF/ANSI 2 standards, meaning they meet or exceed requirements established to ensure food safety and safe sanitation practices. In its assessment, NSF considers the design, making, and performance of the equipment, as well as the materials used in its making. Equipment bearing NSF certification is safe and fit for use in foodservice establishments, including commercial bakeries and kitchens and public cafeterias. Whatever commercial sink configuration you seek, you’ll find a Boos NSF sink that fits your needs. You can select a single-bowl sink, or a sink with two bowls, three bowls or as many as four bowls. Regardless of bowl count, you have the option of adding a drainboard to either the left or right side of the sink(s). Or if you’d like a drainboard on each side, select a two-drainboard set-up. Furthermore, you’ll have a multitude of sink sizes to choose among: 16” x 18”, 18” x 18”, 18” x 24”, 24” x 24” or 30” x 24”. Standard-size sinks are 12 inches deep, although a 14-inch-deep option is also available.